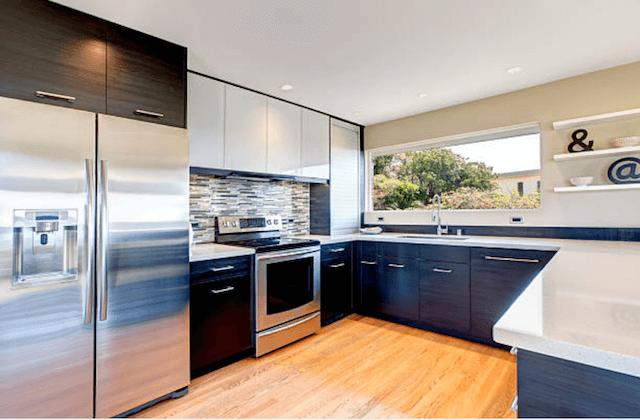 Choice Hawthorne Appliance Repair proudly serves customers in Los Angeles County California. Our appliance repair service is family owned and operated. Our focus is always attention to our clients and excellent customer care. Every day we do the best we can to serve our customers and reward their trust in giving us their business. Our experienced technicians receive continuous education and training. We are able to repair any and all household appliances, including all newer technologies, models, and brands. 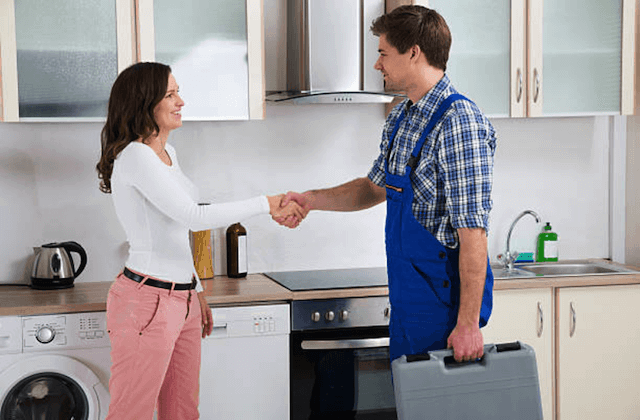 When our certified repairman comes to fix your appliances, you will always be in good hands. Residents of Hawthorne and LA can get same-day repairs on their appliances. It is the goal of our business to finish all washing machine repairs, dishwasher repairs, oven repairs, refrigerator repairs, and any other services on the same day that you call us and ask for help. Our technicians are trained to repair any and all brands of appliances including Bosch, Sears, Kenmore, Maytag, Whirlpool, GE, LG, Samsung, KitchenAid, Wolf, Sub-Zero, Crosley, Frigidaire and more. See our FAQ below for more information. When we arrive at your home our vans are loaded with manufacturer parts and we offer 12-month warranties on every part and all labor. Your absolute satisfaction is our goal! Hawthorne Appliance Repair fixes common freezer and refrigerator problems on all major models and brands. We replace bulbs that are burned out. We fix touch panels and water dispensers. We will track down and repair cooling issues, loud noises, and leaks. We deal with condensation issues, ice makers, smart technology, and more. Once our certified repairmen find the problem they will fix your refrigerator using manufacturer’s parts. If you have a broken range hood or stove, our appliance repairmen are on call to come and make repairs. Whether your stove is electric or gas, well fix any problem. We repair relays, doors, switches, ignitors, and burners. And, we replace burned out bulbs too. Our well-trained technicians have the expertise and the tools to repair any kind of stove or oven promptly and efficiently. And, this includes the newest models as well. If you need to have your dishwasher repaired, call us and schedule same-day service. We routinely fix float switches, pump assemblies, solenoids, impellers, and other parts. If your glassware comes out cloudy or there odors, we will track down the problem and make repairs. Lots of different problems can interfere with the smooth operation of a dishwasher as they are complicated appliances. We are trained to deal with any and all issues that may affect your dishwasher. It is really inconvenient when the washer or dryer does not work. Call us and we will send a repairman promptly and he will make repairs the same day. We fix top-loading and front-loading machines. If there are vent issues, trouble with a control board, switch problems, noises, vibration, or problems with proper agitation, none of these is a problem for Hawthorne Appliance Repair. “The owner of Choice Hawthorne Appliance Repair fixed our stove last week. He was prompt, professional and very nice too. I had complete confidence in him repairing our stove and he did. Fast too! We will be calling him again the next time we need an appliance repairman.” – Courtney F.
“Thank you, Choice Hawthorne Appliance Repair! I couldn’t handle another minute of our dishwasher not working. Fortunately, I didn’t have to wait long. The repairman was at our door two hours after I called and he fixed the problem right away.” – Leslie S.
“Great service! I was extremely impressed how professional the repairman was and how fast he was able to identify and fix the issue with our freezer.” – Gabe K.
Q. WHICH IS BETTER: REPAIR AN APPLIANCE OR REPLACE IT? A. When an appliance breaks you have two choices. 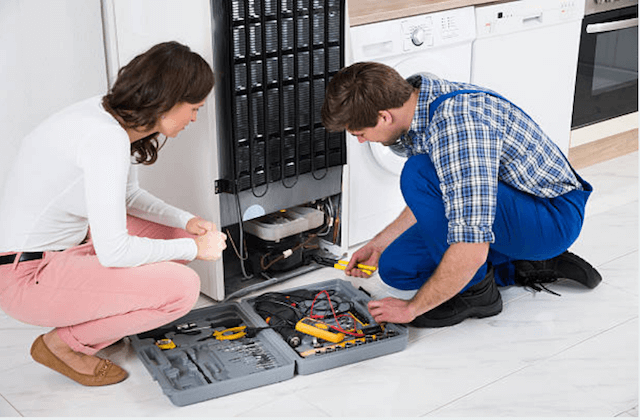 The first is to schedule appliance repair in order to avoid paying for a new model and keep using the old dryer, washer, dishwasher, stove, or refrigerator. The second option is to replace your old appliance with a new one. Appliances have expected lifetimes. When your appliance is relatively new or in the early stages of its lifetime, we always suggest calling our appliance repair service to fix any minor issues. But, when the appliance is near the end of its expected term of service, we suggest replacement with a new model, so long as your budget allows this. Q. DO YOU HAVE A WARRANTY OR GUARANTEE? A. Our warranty on all parts and labor is 12-months. To preserve your warranty we use manufacturer parts for all KitchenAid, Sub-Zero, Frigidaire, Kenmore, GE, LG, Whirlpool and several other popular appliance brands. If any problems occur with any of your household appliances do not hesitate to call us. And, call us at any time if a problem continues or returns after our repairmen leave! Q. 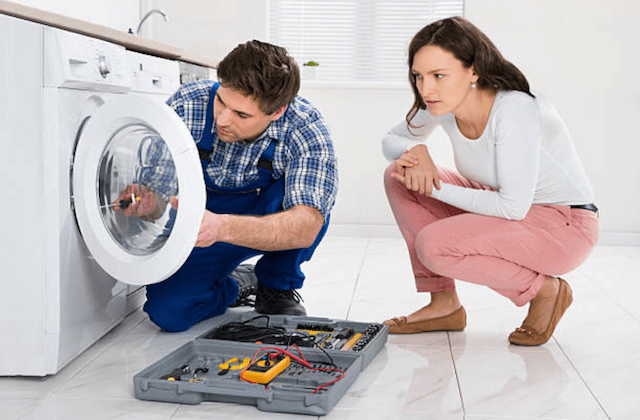 WILL THE TECHNICIAN FIX MY APPLIANCE ON THE FIRST VISIT? A. Our goal is always same-day and one visit service. Our service vans go out into the field filled with ninety percent of common manufacturer parts as well as every tool required to do the job. In the rare instance where we need to return to complete a job, there is no extra service charge. Over the years we estimate that we have had to come back to complete an appliance repair less than 5% of the time. Q. WHAT IS THE TIMEFRAME FOR APPOINTMENTS? A. We work with a two to three hour window for when the technician will arrive at your home. We appreciate the value of your time and will always strive to arrive at your home as soon as work allows. If the job before yours takes longer than expected, our schedule will still allow the technician to arrive for your repairs within the expected time frame. And, our technicians will always call ten to fifteen minutes before they arrive. Q. DO YOU HAVE A COMPLETE LIST OF THE BRANDS OF APPLIANCES YOU REPAIR? A. Yes, we do. The list includes virtually all major brands of appliances for households. If you have questions about a brand not listed below, call us. We can order parts of any brand.